Jul 22, 2014 — GLOBAL (SUN) — Let us first offer our obeisances to our Spiritual Master, His Divine Grace A. C. Bhaktivedanta Swami Prabhupada. caksur unmilitam yena tasmai sri-gurave namahAlso, let us extend our respects to H.H. Jayadvaita Swami. We pray he will understand the concerns expressed in this essay and not construe our presentation as something other than a quest for truth. In a conversation with Govinda dasi in 2003 (see Appendix A), H.H. 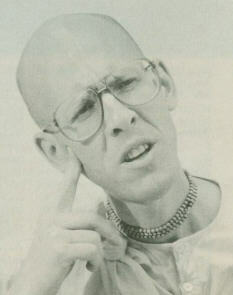 Jayadvaita Swami repeatedly denied that Srila Prabhupada saw the galley proofs for his 1972 MacMillan edition of Bhagavad-Gita, indicating there were mistakes Prabhupada would not have allowed, implying this is why the book needed re-editing. The above statements appear to be in stark contradiction to the following letter from Srila Prabhupada to Jayadvaita found in the Bhaktivedanta Vedabase (Prabhupada regularly referred to galley proofs as “blue-prints” – see Appendix B). After receiving the blue-print copies, Srila Prabhupada states “it is very nice”, gives no indication that he found any mistakes, and expresses anticipation to see the completed book. It would oppose reason to argue that the above letter does not indicate Srila Prabhupada’s approval of the blue-prints/galley proofs. 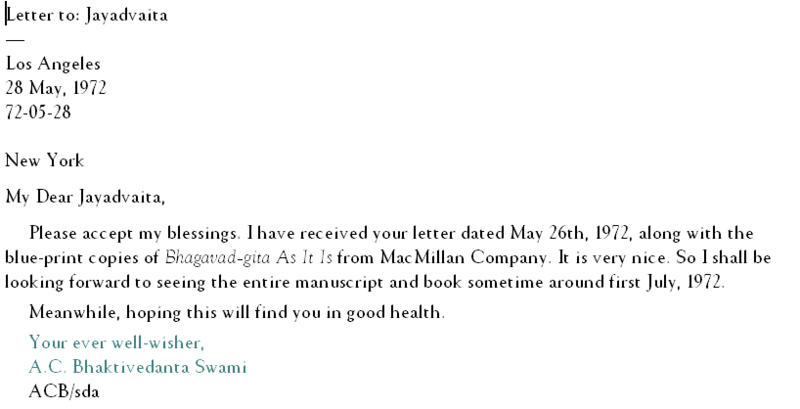 In absence of evidence to the contrary, the May 28th letter proves that not only did Srila Prabhupada see and approve the blue-prints/galley proofs but that Jayadvaita himself sent them to His Divine Grace. The printing of Bhagavd-gita As It Is in 1972 was to be the very first publication of Srila Prabhupada’s unabridged version of the book and it was about to be printed by a world-renowned publishing house. This was a very important event and a very significant milestone in Srila Prabhupada’s literary corpus—presumably something a disciple involved at responsible levels of the book production process would not take lightly or easily forget. 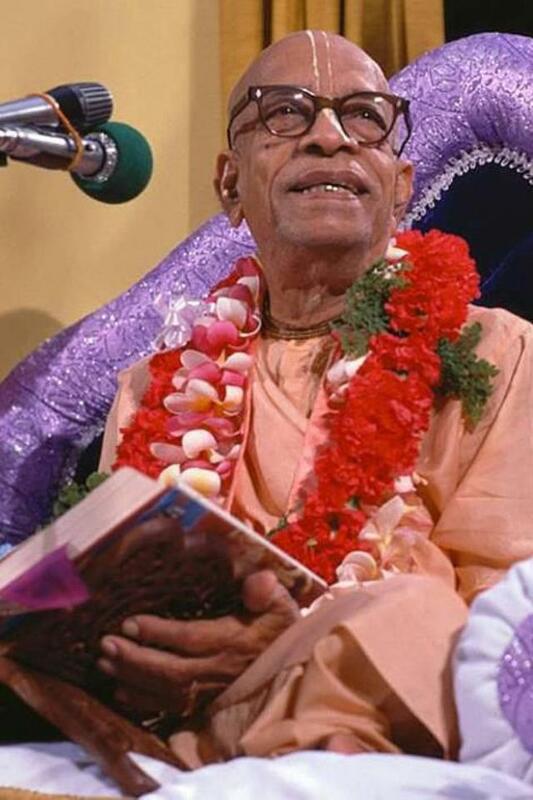 Taking all these factors into consideration, is it unreasonable to wonder how Jayadvaita Swami not only forgot he had sent Prabhupada the blue-prints, but also forgot Prabhupada personally acknowledged receipt of them and had indeed approved them? In addition, it seems Jayadvaita Swami never came across the digital copy of the above letter in the Bhaktivedanta Vedabase during his otherwise scrupulous research regarding BBT editing. As disciples of Srila Prabhupada, we feel duty bound to petition Jayadvaita Swami to explain these discrepancies to the Vaisnava community. At the same time we caution our readers notto rush to judgment without allowing Jayadvaita Swami a chance to respond. We concede that there may have been extenuating circumstances that we are yet unaware of. Perhaps Jayadvaita Swami has letters from Srila Prabhupada that never made it to the Bhaktivedanta Archives or other evidence that could shed light on this issue. If so, we hope he will share them with the assembled devotees and uproot our reasonable doubts. Under the circumstances, we trust he will understand why we would consider physical evidence much more compelling than personal recollection. When all the evidence is presented, if our assessments prove wrong, an apology on our part would certainly be warranted. We conditioned souls have four defects. Our senses are imperfect, we fall prey to illusion, make mistakes and have a tendency to cheat. From the evidence available thus far, one would conclude that Jayadvaita Swami is also a victim of the four defects. Even if we assume the alleged error was an honest mistake, it is nonetheless, a grave mistake and it could cast doubt on his credibility as an impartial editor of the sanctified words of our Spiritual Master. It may even raise the greater question: Is it appropriate for any conditioned soul to edit the books of an empowered and fully realized nitya-siddha devotee after their departure andwithout their express approval or direct oversight? Based on the above letters, one might ask: If Srila Prabhupada had wanted any corrections made in the blue-prints of the ’72 Gita, would he not have stated so? Help us by “sharing” and “liking” this post! So we see that Jayadvaita Swami feels free to not only override Prabhupada’s editorial decisions regarding Bg. 1.2, namely to omit “military phalanx”, but also to unnecesarrily add the word “formation” instead of “phalanx” (Prabhupada often used the word phalanx. We find it many times in books like Bhagavad-gita, Krishna Book, Nectar of Devotion, Caitanya Caritamrta, and also in lectures, conversations, earlier essays and poems). Then why did Jayadvaita Swami not remove the word “phalanx” from Bg. 1.11? “Phalanx” is also found in the purports to Bg. 1.3 and Bg. 1.11 in BBT International’s 1983 edition. So will Jayadvaita Swami again add the word phalanx to Bg. 1.2? Or will he remove it from Bg. 1.11 and add “formation”? Changing back and forth – again and again and again…ad infinitum? Is that what Prabhupada expected from his editors? Is this how the world comes to respect Prabhupada’s books and ISKCON? This article was sent to the BBT International the 22nd Oct. 2013. We asked them to comment on the points raised. So far we have not received any reply. “In the old edition, the idea of a specific military formation (vyudham) is omitted. In the new edition, I revised “phalanx” to “military formation” because a phalanx (originally) is a particular type of formation peculiar to ancient Greek warfare. Greek columns on the Battlefield of Kuruksetra didn’t seem right. Hence the revision. In retrospect: “Phalanx” has come to refer to any military formation, so perhaps I should have been less picky. But at any rate, the new translation gets in the idea that the old one left out. We see that Jayadvaita Swami feels free to not only override Prabhupada’s editorial decisions regarding Bg. 1.2, namely to omit “military phalanx”, but also to unnecesarrily add the word “formation” instead of “phalanx” (a word Prabhupada often used). According to Jayadvaita Swami: in Bg. 1.2 “phalanx” didn’t seem right on Kuruksetra, because it’s a Greek word peculiar to ancient Greek warfare. But in Bg. 1.11 Jayadvaita Swami did not remove “phalanx”. What are we to make of it? Jayadvaita Swami admits that he might have been a little too “picky” regarding the word “phalanx”. This means he is not completely satisfied with his own work. Maybe we will have a new edition of Bg. 1.2 in his next printing? And what about Bg. 1.11? Change-change back-change-change back? Is that what Prabhupada wanted? Jayadvaita Swami said he tried not to make needless changes, but only those worthwhile. But which of the changes here are really worthwhile? Which are really needed? None of them! Bg. 1.2 is just fine the way it is in the original 1972 edition. The expression “began to speak” is not wrong, and as we can see below Prabhupada did not object to it in Bg. 1.2, but re-confirmed it. Therefore the change is needless and not at all worthwhile. The editors might have trimmed the phrase off in other books, but these books were then approved by Prabhupada. Bg. 1.2 was approved with the phrase “began to speak”. 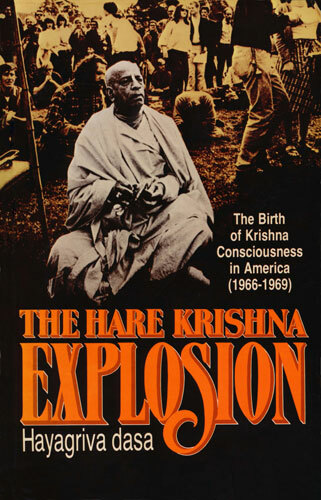 Prabhupada did not approve the 1983 edition. The shocking fact is that Jayadvaita Swami’s underlying technique is to attempt to mind-read Prabhupada after his physical disappearance and use his mind-reading “discoveries” about Prabhupada’s desires in relation to his books to change them posthumously. I don’t think even the devotees in favor of the changes have the fantasy to imagine that this is an editing methodology actively used by the BBT International. The fallacy of going back to the so called original manuscript is covered here. But apart from that, what does it even mean to postulate that you are changing back to the manuscript, when there are so many instances where you concoct phrases that Prabhupada never used in relation to the verses under discussion? So in this lecture Prabhupada heard the verse, and did not object to to words “gathered” and “began to speak”. In fact he re-translated the words “raja vacanam abravit” to “began to speak” – the very same words he used in his draft (so called original manuscripts) and which he had approved in his 1972 edition of Bhagavad-gita As It Is. Aksayananda: Acaryam upasangamya raja vacanam abravit [Bg. 1.2]. Prabhupada: Yes. What is the translation? Prabhupada: Aiye. [break] Caitanya Mahaprabhu’s mission is to preach. So you join us. Prabhupada continues speaking with no objection to the verse as it was read to him. then added something Prabhupada didn’t write (namely “formation” instead of “phalanx” and “spoke” instead of “began to speak”). Jayadvaita Swami is not at all being conservative in his editing. He is by nature an extreme liberal, since he feels free to rely on a New Age methodology, namely using his feelings and “intuition” to mind-read Prabhupada. Jayadvaita Swami is actively using this liberal New Age methodology to add, substract, concoct and change words in Prabhupada original and authorized books. ISKCON now distributes a Bhagavad-gita that contains more than 5,000 unauthorized changes. Srila Prabhupada gave all his classes from his original Bhagavad-gita As It Is and read from this book personally on a daily basis and listened to his disciples read from it, and commented on the philosophical points as they read. With the exception of a couple of obvious typographical errors, Prabhupada never at any point of time ordered that his Bhagavad-gita be changed. He most certainly did not authorize the production of a revised and enlarged edition of his book. Jayadvaita Swami agrees that Srila Prabhupada did not ask him or anyone else to “revise and enlarge” his Bhagavad-gita As It Is. So how did it happen? Where did the authority come from for ISKCON’s current “Revised and Enlarged” edition? It seems just after Srila Prabhupada left our material vision, Jayadvaita thought it was a good idea to revise and enlarge Prabhupada’s Gita, so he did it. And what is this so-called “original manuscript”? You can see it here. This is not a manuscript at all. It is the first draft of the book. No author intends that the first draft of his book be published. He appoints an editor and together they work on the book to produce the manuscript which will ultimately be submitted to the publishers. In this case, Prabhupada wrote the first draft and then worked with Hayagriva and other editors to prepare the manuscript for hisBhagavad-gita As It Is, which was ultimately presented to Macmillan & Co. for printing. Imagine you write the first draft of a book and appoint an editor. You work with your editor on a daily basis for months until together you produce a manuscript you are happy with and your book is published. Your book becomes a worldwide best seller and you are very happy with it. It is a spiritual book and by reading it many of the readers have life-changing experiences. They also become very attached to your book. Your book is praised by scholars worldwide with rave reviews. Then many years later, after you have left your body, somebody finds the first draft of your book and decides to “correct” your published book based on your first draft. Of course you were never intending to publish this first draft. That is why you spent so much time and energy working with your editor on that first draft to transform it into a manuscript you actually wanted to present to the publishers. How angry would you be with this fool who wants to undo your work and your editors’ work by going back to the first draft? Jayadvaita Swami, by going back to the first draft, is eliminating so many corrections and so much work that Srila Prabhupada personally did on his book with Hayagriva and his other editors. This is a great disservice to Srila Prabhupada. The Swami is insisting that his version of the history of the editing of Srila Prabhupada’s Bhagavad-gita As It Is is correct. And what is his version of the history? He has turned to “smoke and mirrors” to try and bewilder the devotees into believing a false history. In the “history according to Jayadvaita’s imagination”, Srila Prabhupada only typed and dictated the first draft of his Bhagavad-gita As It Is and handed it over to his editors and did not work with his editors on the book. In this way he claims the first draft that he has is authoritative and he is justified in changing the printed book if he can find something different in the first draft. On his website he debunks “The myth that Srila Prabhupada and Hayagriva together carefully reviewed the completed text of Bhagavad-gita As It Is“. He does this by debunking a statement by Govinda dasi, who saw Srila Prabhupada and Hayagriva working together on editing Prabhupada’s books in 1968 in Los Angeles. Prabhupada and Hayagriva were actually working together on editingSrimad-Bhagavatam at that time. And according to Jayadvaita, that “proves” that Prabhupada and Hayagriva did not work together on editing the Gita. Strange logic, but we are expected to believe the Swami anyhow. Here Jayadvaita is letting us know that Rayarama, while he was editing Bhagavad-gita, was in constant contact with Srila Prabhupada and was asking many questions about the editing, which Srila Prabhupada was answering. “I have already sent you the purports of each and every sloka that you sent me for correction.” So even with Rayarama’s editing he was asking Prabhupada many questions and Prabhupada was sending him many corrections to his “first draft”. None of these corrections by Srila Prabhupada are present in what Jayadvaita refers to as “the original manuscript.” This alone completely destroys any justification for using this document as any sort of authority, as it does not include the many corrections that Srila Prabhupada made to it while Rayarama was working on editing his Bhagavad-gita. The real world is quite different from Jayadvaita’s imaginary world. Even though the Swami constantly says, “It’s not true!” Srila Prabhupada and Hayagriva did work together for almost three months in 1967 editing Bhagavad-gita As It Is, during this period Hayagriva Prabhu was consulting Srila Prabhupada daily on almost every verse in the Bhagavad-gita As It Is. It’s not a myth, it’s history, and this history completely destroys any justification at all for changing Prabhupada’s Gita based on Prabhupada’s first draft of the book (or the “original manuscript”, as the Swami calls it). So Hayagriva is negotiating on Srila Prabhupada’s behalf with a local printer to print Prabhupada’sBhagavad-gita As It Is. Finishing his translation of Bhagavad-gita As It Is, working with Hayagriva Prabhu to edit it and getting it printed are clearly the most important projects on Srila Prabhupada’s agenda at this time. Hayagriva is still in San Francisco on January 29th, two weeks later, for the big concert featuring the Grateful Dead. Hayagriva is still in San Francisco together with Srila Prabhupada on February 27th. This is now six weeks in the personal association of Srila Prabhupada, working with him editing his Bhagavad-gita As It Is. So Srila Prabhupada and Hayagriva worked together on editing the Bhagavad-gita daily during the almost three months while Hayagriva Prabhu was living with him in the San Francisco temple, from Janurary 17, 1967 until April 9, 1967. The history is the history. Srila Prabhupada worked on the first draft of Bhagavad-gita As It Isextensively with both Hayagriva Prabhu and Rayarama Prabhu. In the three months Hayagriva went through practically every verse with Srila Prabhupada and Prabhupada also sent many corrections to Rayarama Prabhu later on. At that time Macmillan were only able to print 400 pages, so Rayarama abridged Prabhupada’sBhagavad-gita As It Is. Prabhupada was not happy with this and wanted to publish the complete edition. Hayagriva was again called on by Srila Prabhupada for producing the manuscript, which was submitted to Macmillan for the publication of the complete 1,000 page edition in 1972. At this time there were at least exchanges of letters between Srila Prabhupada and Hayagriva and Prabhupada was still giving him many instructions related to the editing and answering the questions he had in regard to the editing. So Jayadvaita’s “history” that Srila Prabhupada did not work with his disciples on editing Bhagavad-gita is nothing more than smoke and mirrors. It is a dishonest attempt to mislead the devotees and cover-up the real history. The authoritative edition of Srila Prabhupada’s Bhagavad-gita As It Is is the final published 1972 “Complete Edition.” Not the first draft that Jayadvaita calls the “manuscript.” Srila Prabhupada spent considerable time, energy and effort working with his editors Hayagriva Prabhu and Rayarama Prabhu to take his first draft to the real manuscript — the manuscript which was submitted for publishing to MacMillan. Changes to the final published book cannot be justified by referring to the first draft. This is a great mistake. People are not so foolish. The truth is the truth. Eventually Jayadvaita’s smoke and mirrors will stop working and the blind followers will wake up and see the truth. Govinda dasi: …that in 1966, ’67 and ’68, Hayagriva spent many, many hours alone with Srila Prabhupada, discussing the different aspects of the editing work. They went over each verse extensively, and Srila Prabhupada was actually quite clear in expressing what he wanted. He, even in the case of legal matters, or something else that he might not know how things worked, he knew what he wanted. So he had an uncanny ability to see through any situation. That’s an understatement, and I’m putting that so that people can appreciate it.